Remember I blogged about the mystery billboard along Morayta #MaghihintayAkoManuel. I even said it's about Manuel's love story, a kind of long distance love affair. 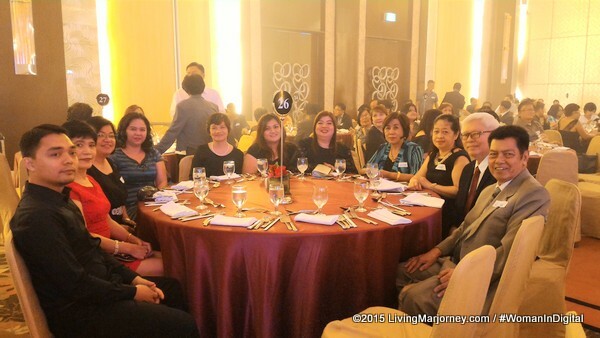 Last week, the mystery was revealed in a big event held at Edsa Shangri La Hotel. 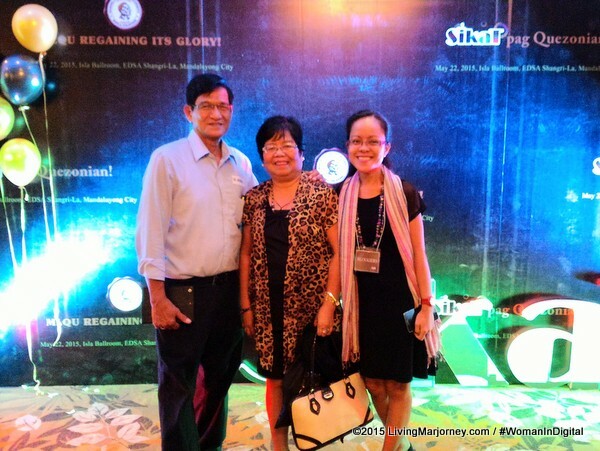 With the theme "MLQU Regaining its Glory! Sikat ‘pag Quezonian" hosted by Luanne Dy and Drew Arellano. 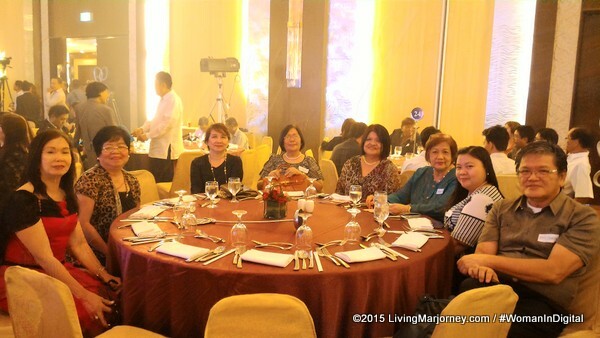 On my way to one of the function room, I already noticed guests most were senior citizens. Hubby and I decided to passed by the concierge to leave our things. 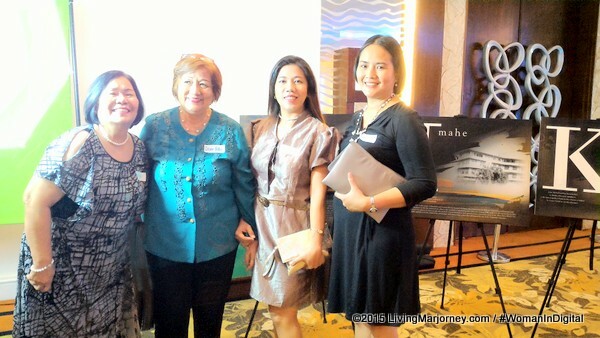 There, we met one of the guests holding the 'key' to the mystery event. I asked if I could see the invite and the old man handed it to me. The mystery was solved. 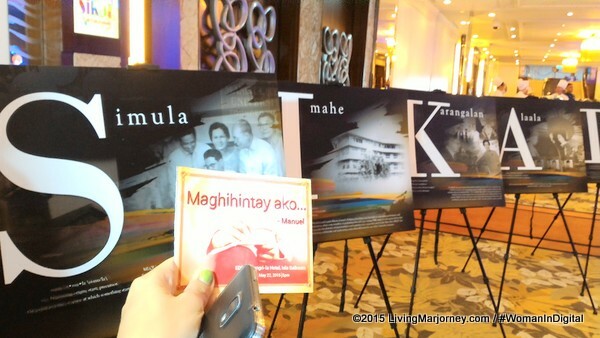 That #MaghihintayAkoManuel that went viral was about Manuel L. Quezon's Alumni Homecoming. Because I already knew what's the event is all about. I see to it not to miss a photo opp with respected college professors and members of the faculty of Manuel L. Quezon University. Photo above is husband and wife team, both professors of MLQU. 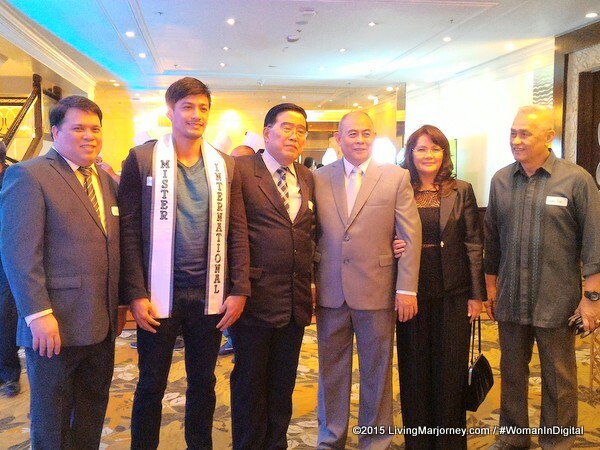 I also met Neil Perez, Mister International together with the heads of MLQU. Students now professionals. It's just overwhelming to see their excitement attending the homecoming. Finally, we come to the most awaited part - the reveal of what's new with MLQU. Their plans for coming back into the limelight involved the campaign billboards we’ve seen around Manila. 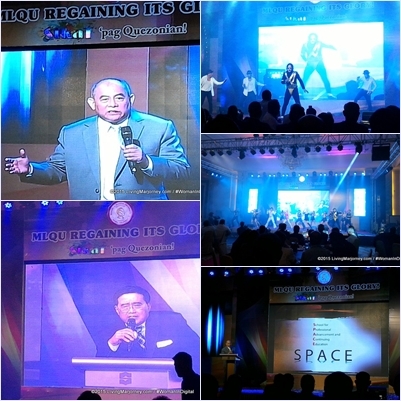 “It’s about time that we get back on track and build the culture of excellence and legacy of becoming an outstanding institution,” New San Jose Builders, Inc. (NSJBI) co-chairman and MLQU president Dr. Isagani Germar said. Started in October 2014, New San Jose Builders acquired MLQU the university's plans for upgrading are beginning to take shape. Top of their priority is reclaiming its role as a breeding ground for nation-builders and producing graduates that would attain 100% passing rate in board and bar exams. MLQU offers courses such as Law and Paralegal Studies, Education, Arts and Sciences, Accountancy and Business Arts, Engineering, Graduate Studies, Criminology, Architecture, and Information Technology. Under the new management’s supervision, there is a plan to add a course on real estate management. Soon, there will be MLQU in Balanga, Bataan, as well as strengthening its Professional School, the School for Professional Advancement & Continuing Education (SPACE). Let me just mentioned few of the many graduates of MLQU. Dr. Carpio was a recipient of over 50 national and international honors and awards which includes being one of the Ten Outstanding Women of the Philippines in 1968 from Federacion Internacional de Abogadas (FIDA Phil.) for her invaluable achievements in the field of performing arts. She was also cited in The World Who’s of Women, Vol. 6, 1982 published in England by the International Biographical Centre. Neil Perez, an officer of the Philippine National Police Aviation and Security Group, won the title of Mister International Philippines in a pageant held in Seoul, South Korea on February 14. 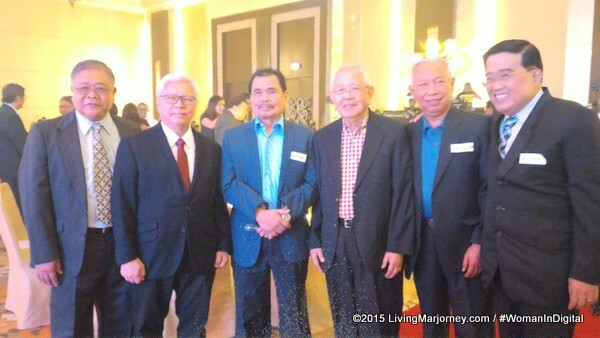 Secretary of Justice in the person of Justice Ricardo C. Puno Sr.(1979-1984), Justice Sedfrey Ordoñez (1987-1990) and Justice Artemio Tuquero (2000-2001) while Justice Ricardo Villarama Jr., Justice Venicio Escolin, Justice Jose Melo, Justice Jose Vitug, Justice Ruben Reyes and Justice Isagani A. Cruz went on to become associate justice of the Supreme Court. 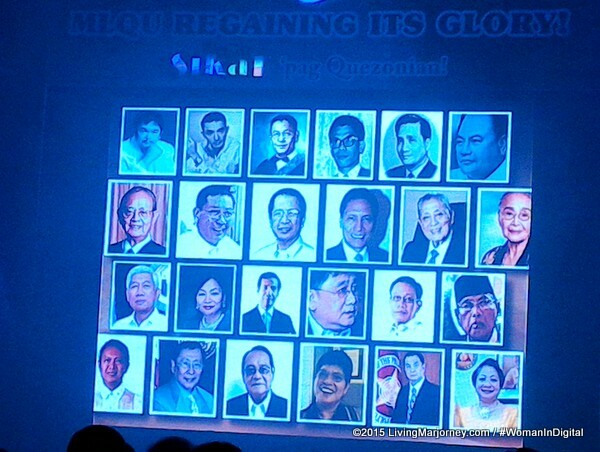 Former Foreign Affairs secretary Alberto Romulo; Former Commission on Elections chair Benjamin S. Abalos; Former Labor Secretary and Senate President Blas F. Ople; Defense Secretary Voltaire Gazmin; Department of Trade and Industry undersecretary Lilia de Lima; Labor Secretary Rosalinda Baldoz; Tarlac Governor Jose V. Yap; Former Chairman, PCGG Magtanggol Gunigundo; Former Agrarian Reform Secretary and former Bulacan Governor Obet Pagdanganan; Former Senator Wigberto Tañada Former Senator Wenceslao Lagumbay; and Congressmen Rodolfo Albano Jr., Pangalian Balindog, Fredrick Abueg, Silvestre Bello III, Antonio del Rosario, Samuel Pagdilao and Reynaldo Umali. Not to be forgotten are Police Senior Inspectors John Gary Erana, Max Jim Tria, and Rennei Tayrus, who served the country and sacrificed their lives as part of the Philippine National Police Special Action Force's “Fallen 44”. Now that we know the mystery billboard along Morayta, maybe we should also tell our friends and relatives who graduated from MLQU to spread this good news about the new MLQU.